In the early stages of the game, Henry has little money to rub together, making it a pain to procure the equipment you need, like lockpicks, armour and the all-important Saviour Schnapps. To help you on your way to a fortune, here are our tips for making money in Kingdom Come: Deliverance. We’ll update this list with later game strategies as they emerge, so check back if you’re going for the Scrooge trophy by hoarding 5,000 Groschen. 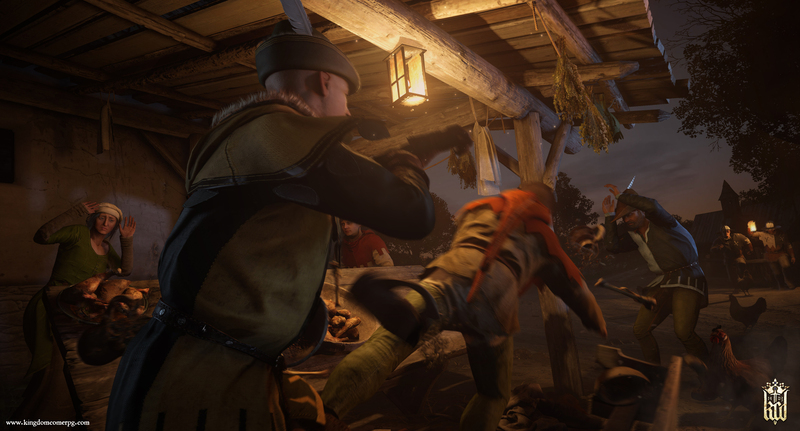 Unfortunately, there’s no money cheat in Kingdom Come Deliverance. That was disabled after the beta. Right at the start of the game, you’re completely strapped for cash. Your father might’ve given you 10 Groschen in the prologue, but that’s about it. As part of escaping Talmberg, you can choose to pick a lock to steal a guard uniform, but you’ve got no money for lockpicks. If you go to Lady Stephanie – who’s upstairs across the courtyard from where your bed is in Talmberg – she’ll give you 25 Groschen for paying bribes. You’re then free to do what you want with that money. If you need help with lockpicking in Kingdom Come Deliverance, we have a guide for that too. Once you’ve left Talmberg for the first time, you’ll see the bodies of unfortunate peasants slaughtered by Sigismund’s Tartars. You can find lots of useful items and coin on their bodies, so pick up as much as you can. A few will have Groschen, most will have food items that you can save to eat yourself or sell to a merchant for small amounts of coin later. If you’re not fussy, every piece of silver counts, and there are no repercussions for taking what you can find. Early on in Kingdom Come Deliverance, merchants are the only places you’ll find valuable items. But once you get to Rattay, you can lay your hands on great stuff to sell by killing enemies. Clear your inventory of all non-essentials to save weight, then equip your best fighting gear and pack some light food. Head north out of Rattay and explore the areas to the northwest and northeast. Along the various secluded roads and trails, you can encounter bandits waiting to ambush unsuspecting travellers – you can usually see one of them standing in the road. If you head even further north, or more to the northeast, you can encounter more bandits and even Cumans. If you take these guys out, you can loot expensive armour from their bodies. Bandits tend to have padded cowls that have a value of about 80 Groschen, while Cumans can drop chainmail armour which has a tidy value of more than 300 Groschen. This is a time-consuming pursuit – even if you take your trusty steed with you – but soon enough you can have thousands of Groschen, and it’s fun to explore some of Kingdom Come’s open world.